Los Angeles-based real estate firm Partners Trust is putting together a purported deal to sell at least a partial stake of the company to San Francisco-based Pacific Union International, the 8th largest brokerage in the country by sales volume, Inman has learned. Company officials would not comment on the deal. Partners Trust, led by co-founder and CEO Nick Segal, has seven offices and 240 agents. Since its founding in 2009, the company has closed over $10 billion in transaction volume, the company claims. Its offices span the locales of Malibu, Beverly Hills, Brentwood, Santa Monica, La Cañada, and Pasadena. 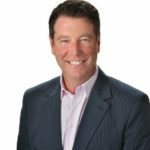 Pacific Union, founded in 1975, is the largest real estate firm in the San Francisco Bay Area and is headed by CEO Mark McLaughlin. 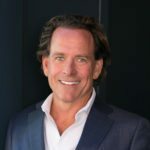 With its sights set on prospective purchases for some time, independent brokerage Pacific Union has also acquired a majority stake in Gibson International and scooped up The Mark Company (2015) and John Aaroe Group (2016), sizzling boutiques that between them serve the hottest markets in the Golden State. It’s no secret that California real estate is on fire; prices are sky-high and competition among brokerages looking to grab a bigger slice is fierce. This week, another independent giant — 110-year-old Douglas Elliman — announced the acquisition of Los Angeles-based Teles Properties to expand Elliman’s toe-hold in the Southern California housing market — so it appears the race is on.